I always look forward to the TIFF madness that descends in Toronto every year -- the celebs, the premieres, the parties, and of course, the arduous and panic-inducing process of choosing what to see. That's why when Toronto digital experience agency TWG came up with the idea to build a chatbot that navigates TIFF's insane schedule and curates film picks based on genre, actor or buzz-worthiness, I wanted to be involved. Behold, the birth of TIFFBOT. The movie-loving chatbot can teach marketers a lot about why chatbots are the next frontier for communicating with consumers, and why every brand should be paying attention to them. Back up. What's a chatbot? Chatbots are computer software programs that use artificial intelligence to simulate human conversation. Most often, they live in chat apps like Slack or Facebook Messenger, but they're also found via SMS, social (RIP PoutineBot, who used to RT any poutine-related Tweets), or elsewhere online. They can be built with various levels of intricacy, starting from a more straightforward "If A, then B" bot like BFF Trump or Mica The Hipster Cat, right up to bots that use AI and machine learning (RIP, Microsoft's Tay!) for a more fluid and human conversation experience. Their main goal is to streamline online experiences, and to eliminate the friction that's involved with native mobile apps - for example Kik's Ted Livingston showed how a chatbot can eliminate several steps when ordering a beer from your seat at a Blue Jays game. Bots can be a fun novelty to serve a single purpose (see BFF Trump), but for marketers, they can be used to solve communication and engagement issues that have always been pain points in the customer journey. Branded mobile apps were once a huge boom for this reason, since they promised to help us connect with audiences in a new way and keep them coming back. Except in 2016, the average person downloads less than one app per month, making it unlikely that a branded app will really stick the way marketing managers the world over hope it will. Chatbots offer the same level of customization, data gathering, and great user experience and app does, without the custom development or a huge drive for download acquisition that comes with launching or maintaining an app. Instead, chatbots let brands serve customers comfortably and conveniently, through conversation that feels personal, in an interface that's already familiar. Bots can be built to help with customer service (see online banking examples, or Sephora's bot that helps you find the best beauty products), booking and ecommerce (restaurants or flights, or shopping - and especially for tacos), or for customer onboarding (the Slackbot is the most famous example of this). They can also be used for content delivery - for example I use the CNN bot to find out about the latest news. They're particularly useful in a post-digital, "segment-of-one" marketing world where consumers demand customization and relevancy at all brand touchpoints. Bots are uniquely qualified to fill this niche because they don't require extensive data-mining -- the user inputs all the data we need to create a great experience for them, meaning we now have the opportunity to be 100% relevant, 100% of the time. Plus, bots give us the option to remarket to those who've already chatted with us with reminders, sales promotion or announcements. If you're not building a bot, chances are you're about to miss out on the next wave of social marketing - while you had a phone number for your business in the 1980s, a website in the 1990s, and an app in the 2000s, this decade will usher in chatbots as the "must-have" communication tool for businesses. If you've ever been to/attempted to go to TIFF, you know the planning process can be time-consuming and hard to navigate - timetables, ticket rushes, sorting through reviews and genres and social media to find what you want. TIFFBOT was designed to help eliminate all those pain points - it's a Facebook Messenger bot that provides movie recommendations by chatting in Messenger - way easier than navigating through "best-of" lists and doing tons of online research. TIFFBOT prompted users to input a genre, movie star, or to check out TIFFBOT's (read: voice of TIFFBOT, Holly Knowlman) top TIFF picks. Based on the user's input, the bot would serve the best match, giving users the option to watch the trailer, visit the film's page on the TIFF website, or find more recommendations. 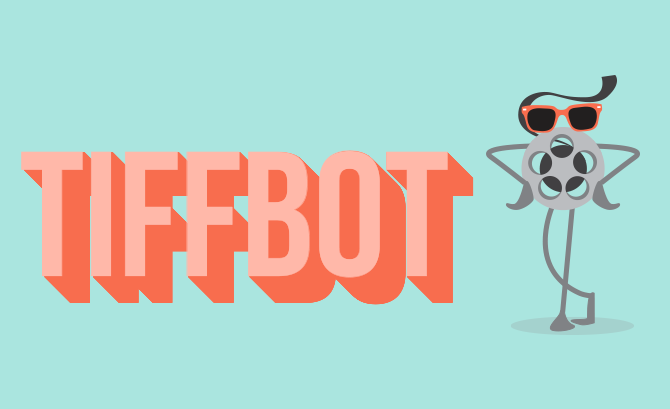 In around 2 weeks, TWG had built and thoroughly tested (and gif-ified) the bot, while our team focused on building a brand identity for TIFFBOT (admit it, he's cute! ), a landing page, and a PR strategy. Our bot was officially red-carpet ready - but would it work? TIFFBOT was covered in publications like IndieWire, BlogTO, and many others. TIFF also took notice and reached out with the offer to make us an official partner. 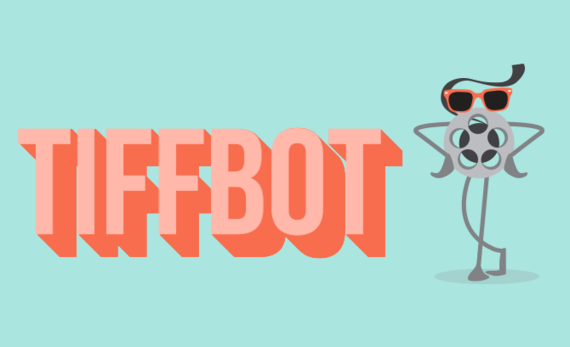 After we solidified our partnership, TIFF helped co-promote on their social media channels, and helped add content curated by their team to the bot, including a hidden gems category. Go find one by sending TIFFBOT a diamond emoji. Users loved it too - except the ones that took the opportunity to type obscenities at TIFFBOT and were served with a very stern Liz Lemon gif, of course. In total we had 8,600 sessions over three weeks. The award for most recommended film goes to Toni Erdmann, a critically-acclaimed European dramedy. The big question for marketers is how you can apply chatbots to your own marketing initiatives: can chatbots solve a communications problem you have currently, and make the user experience more seamless for customers? If the answer is yes, then jump on the bot-wagon.